This is a very funny toy, animal, children dinosaurs building blocks can get acquainted with the animal. Creative educational toys make the children play, improve children cognitive ability, intelligence, exercise their logical thinking. Develop your child creativity while promoting motor skills and learning games. Choking Hazard - Small parts. Not for children under 3 years! Kids Educational Plaything-- Let your child drive the beads across the labyrinth using the magnetic pen. Help teach grasping and holding skills which leads to success in school and beyond. 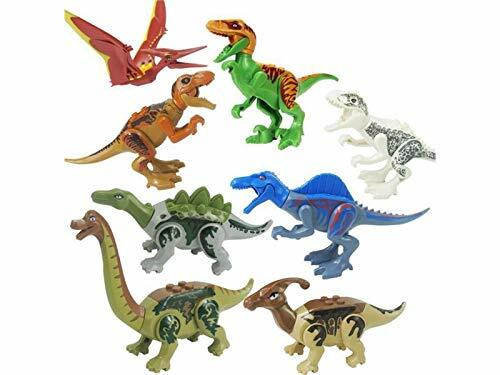 Mini Dinosaurs-- Building Blocks Toys to improve the mounting ability of children.Super cute animal form. Easy installation without special tools. If you have any questions about this product by Yiyane, contact us by completing and submitting the form below. If you are looking for a specif part number, please include it with your message.